Many blocks can accept or output signals of any data or numeric type and dimensionality. Other blocks impose restrictions on the attributes of the signals that they can handle. In Simulink®, signals are the outputs of dynamic systems represented by blocks in a Simulink diagram and by the diagram itself. The lines in a block diagram represent mathematical relationships among the signals defined by the block diagram. For example, a line connecting the output of block A to the input of block B indicates that the signal output of B depends on the signal output of A.
Simulink block diagrams represent signals with lines that have an arrowhead. The source of the signal corresponds to the block that writes to the signal during evaluation of its block methods (equations). The destinations of the signal are blocks that read the signal during the evaluation of the block methods (equations). Simulink signals are mathematical, not physical, entities. The lines in a block diagram represent mathematical, not physical, relationships among blocks. Simulink signals do not travel along the lines that connect blocks in the same way that electrical signals travel along a wire. Block diagrams do not represent physical connections between blocks. Create a signal by adding a source block to your model. For example, you can create a signal that varies sinusoidally with time by adding an instance of the Sine block from the Simulink Sources library into your model. For information about blocks that create signals in a model, see Sources . You can use the Signal & Scope Manager to create signals in your model without using blocks. For more information, see Signal and Scope Manager . A Simulink model can include many different types of signals. For details, see Signal Types. Different line styles help you to differentiate the signal types. As you construct a block diagram, all signal types appear as a thin, solid line. After you update the diagram or start simulation, the signals appear with the specified line styles. The only line style that you can customize is the nonscalar signal type. For information about this option, see Wide Nonscalar Lines. To access the signal properties in the Property Inspector, first display the Property Inspector. Select View > Property Inspector. When you select a signal, the properties appear in the Property Inspector. To use the Model Data Editor (View > Model Data Editor), inspect the Signals tab and select a signal. To use the Signal Properties dialog box, right-click a signal and select Properties. For information about the benefits of each approach, see Setting Properties and Parameters. To specify signal properties programmatically, use a function such as get_param to get a handle to the block output port that creates the signal line. Then, use set_param to set the programmatic parameters of the port. For an example, see Name a Signal Programmatically. To learn how to map signal properties to programmatic port parameters, see Signal Properties Dialog Box Overview. You can name a signal. By default, the signal name appears below a signal, displayed as a signal label. You can name a signal interactively in the model or by using the Property Inspector (View > Property Inspector), the Model Data Editor (View > Property Inspector) Signals tab, or the Signal Properties dialog box. You can also name the signal at the command prompt (see Name a Signal Programmatically). For a summary of how to work with signal names and labels in the Simulink Editor, see Signal Name and Label Actions. Do not use a less than character (<) to start a signal name. The signal name can resolve to a Simulink.Signal object. (See Simulink.Signal.) The signal name must then be a legal MATLAB® identifier. This identifier starts with an alphabetic character, followed by alphanumeric or underscore characters up to the length given by the function namelengthmax. The signal name exists only to clarify the diagram and has no computational significance. Such a signal name can contain anything and does not need special handling. The signal is an element of a bus object. Use a valid C language identifier for the signal name. Inputs to a Bus Creator block must have unique names. If there are duplicate names, the Bus Creator block appends (signal#) to all input signal names, where # is the input port index. Making every signal name a legal MATLAB identifier handles a wide range of model configurations. Unexpected requirements can require changing signal names to follow a more restrictive syntax. You can use the function isvarname to determine whether a signal name is a legal MATLAB identifier. For details, see Display Signal Attributes. You can also highlight a signal and its source or destination blocks. For details, see Highlight Signal Sources and Destinations. You can use block parameters and signal properties to specify signal design attributes such as data type, minimum and maximum values, physical unit, and numeric complexity. To configure states, you can use block parameters. When you use these block parameters and signal properties, you store the specifications in the model file. Alternatively, you can specify these attributes by using the properties of a Simulink.Signal object that you store in a workspace or data dictionary. See Simulink.Signal and Data Objects. 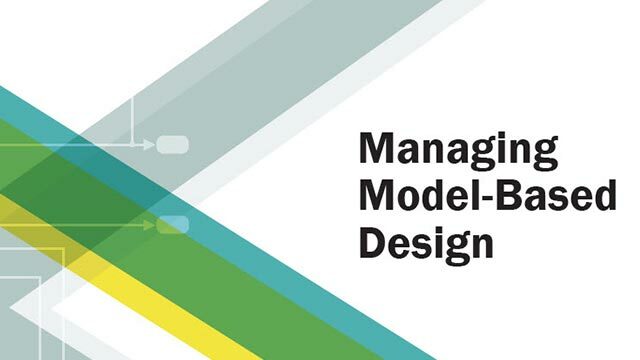 Choose which strategy to use based on your modeling goals. To improve model portability, readability, and ease of maintenance, store these specifications in the model file. Use the Property Inspector, the Model Data Editor, block dialog boxes, and signal properties dialog boxes to access the parameters and properties. You do not need to save and manage external Simulink.Signal objects. Consider setting the model configuration parameter Signal resolution to None, which disables the use of Simulink.Signal objects by the model. To configure design attributes and code generation settings for signals by using a list that you can sort, group, and filter, consider the Model Data Editor. With this tool, you store the specifications in the model file instead of using Simulink.Signal objects. See Configure Data Properties by Using the Model Data Editor. To separate these specifications from the model so that you can manage each independently, use Simulink.Signal objects. You can then configure the specifications in a flat list that you can sort, group, and filter with the Model Data Editor or the Model Explorer. To determine where to permanently store the objects, see Determine Where to Store Variables and Objects for Simulink Models. For many Simulink blocks, you can specify a range of valid values for the output signals. Simulink provides a diagnostic for detecting when blocks generate signals that exceed their specified ranges during simulation. For details, see Signal Ranges. Many Simulink blocks have limitations on the types of signals that they accept. Before simulating a model, Simulink checks all blocks to ensure that the blocks can accommodate the types of signals output by the ports to which the blocks connect and reports errors about incompatibilities. To detect signal compatibility errors before running a simulation, update the diagram. The Signal Editor block displays interchangeable groups of scenarios. Use the Signal Editor to display, create, edit, and switch interchangeable scenarios. Scenarios can help with testing a model.